Covestro’s Baymedix are new polyurethane raw materials for wound care. They are said to help with the healing process, come in several designs and can are used, for example, in absorbent foams manufactured from Baymedix FP, adhesives with skin contact made of Baymedix A and films based on the waterborne products Baymedix FD and CD. Recently, Covestro has focussed on material development textile coating applications in the medical environment. 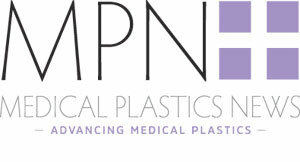 Applications include surgical wear, hospital bed linen, coatings for medical furniture, but also medical bandages. The company presented at INDEX17 where it showed new raw materials for sustainable, water-borne textile coatings with good haptics and enhanced stability towards disinfectants as well as for non-latex cohesive bandages for compression therapy and secondary fixation.